Hogmaster Purchase for a Busy Campsite! John’s campsite is in an enviable but very remote location, which means he has to provide everything his campers may need to keep them happy. He has bar, a shop and a café and he likes to be very hands-on in the running of all of his campsite enterprises. He has always been very proud of his campsite and likes to mingle with his guests as much as possible. For the past few years he has hosted weekly barbeques for the residents to enjoy, but this summer has been so busy because of the weeks of glorious sunshine we have enjoyed, that John’s usual barbeque has not been sufficient to feed everyone, to the point where he has received a few complaints for people either having to wait ages for their food, or worse still not being fed at all. John realised he needed to look at alternative options, but he still wanted to be able to cook outside in full view of his guests and chat to them whilst he was preparing the food-that is what camping is all about after all! John was thinking about buying a hog roast machine for a while, but he was worried that he wouldn’t get his money’s worth as he believed it could only be used outdoors in summer. When John found out about our Hogmaster, he realised how wrong he was! Not only is it the best way of cooking meat and able to provide a lot of food for a large crowd for relatively little cost, the Hogmaster is versatile and compact enough to be used indoors as well during the colder months! John was thrilled with his new purchase and told us it has improved not only the quality of the food he can provide on his campsite, but also the speed and efficiency of his service. After buying the Hogmaster, none of his camping residents have gone back to their tents with an empty stomach, and what’s more, John knows he can use it indoors as well when the weather eventually takes a turn for the worse! Buy Your Own Hog Roast Machine! 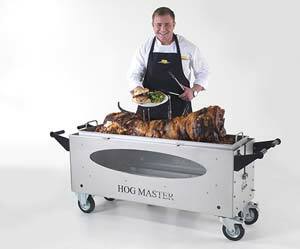 Get in touch with The Hog Master if you would like more information about our Hog Roast Machines. 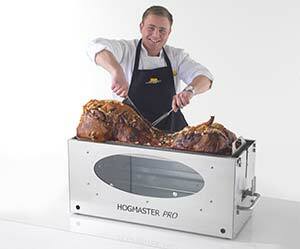 We have a range of Hog Roast Machines to suit any size of pig, function or indeed budget. Click the images below to read further information about our range of Hog Roast Machines all available to Rent and Buy. Hog Roast Downpatrick- Hire a Machine for Your Event! 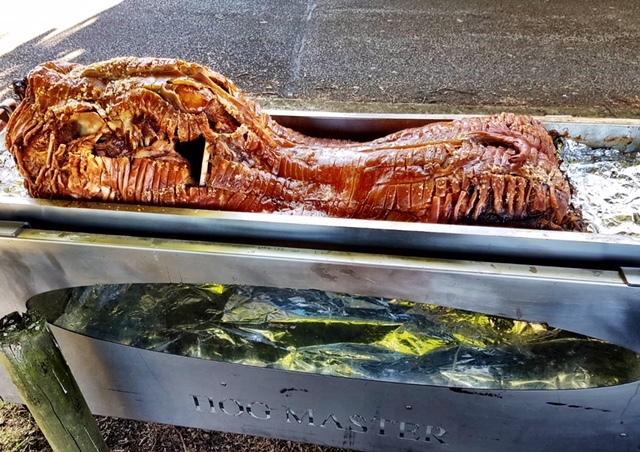 Hog Roast Dundalk: The Hogmaster- Try Before You Buy! Taking Up Cooking with a Hog Roast Batley Machine!